about me: I began my medical career in traditional healthcare, but when I started going through menopause I struggled to find real solutions to my issues. My symptoms kept getting progressively worse. I gained weight, I was tired all the time, moody, and couldn’t focus on anything. Once I started developing chronic diseases, I knew I had to find a different approach. I attended a seminar about Functional Medicine, and it was like a light bulb went off. I realized everything was connected to my hormones. I began implementing changes to heal my body and get my hormones and nutrient levels back to an optimal range. The response was amazing! I felt and looked younger, more vibrant and focused than I could ever remember. I knew that Functional Medicine was the future, and I switched gears to fully concentrate on this field so I could share my passion with my patients. Because truly, what is wealth without health? Our health is the most valuable thing we have. 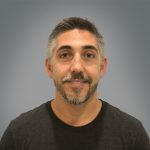 bio: Board Certified in Integrative Medicine, Dr. Lacayo is a Family Physician who has been practicing in the Delray Beach/Boca Raton area for over 20 years. While going through a very difficult time personally with weight gain and perimenopausal symptoms, she followed a traditional medical treatment path. When her symptoms did not improve, Dr. Lacayo’s passion for self-healing led her to extensive studies in Functional Medicine, a systems-oriented approach that addresses underlying causes of disease. She discovered an entire world of synergistic modalities that complemented her traditional medical training. Once she restored balance in her own life she was determined to share this approach with her patients. Dr. Lacayo blends the scientific approaches of traditional medicine with proven natural therapies backed by research and clinical trials. She gets to the root cause of the problem for people who are suffering from such conditions as chronic fatigue, fibromyalgia, anxiety, ADHD, irritable bowel syndrome, hormone imbalances, dermatitis and difficulty in sustaining weight loss. 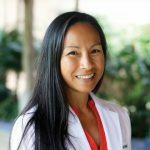 Her goal is to help patients restore vitality and optimal healthy living throughout all stages of life.